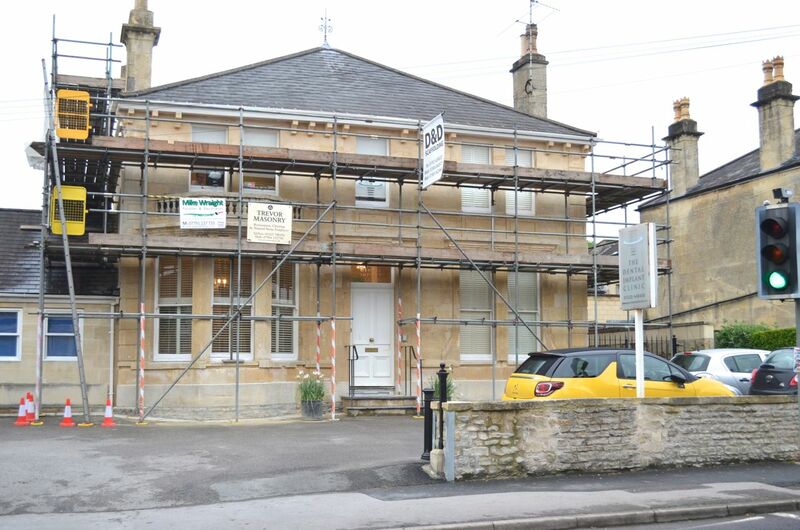 We are currently having a refurbishment of the outside and inside of The Dental Implant Clinic. The beautiful Bath Stone is being lovingly cleaned and any eroded stone replaced. Whilst we have the scaffolding up the sash windows are also being painted. The building was originally called Hyde Lodge and dates from the 1890s. The reception rooms have retained their original architectural features, but the clinical areas have been converted to deliver dental implants using the latest technology.